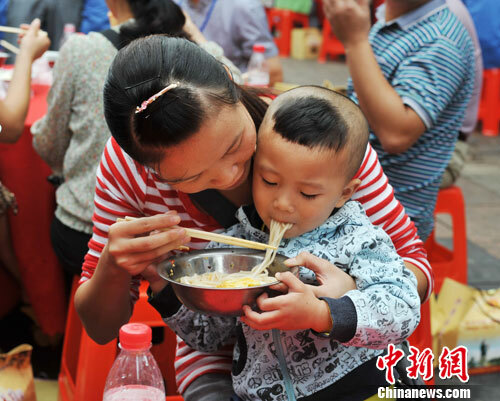 BEIJING, Oct. 12 (Xinhuanet) -- CNN recently selected 14 typical Chinese dishes that "are almost guaranteed to wake thehomesick bug in most mainland Chinese living or traveling abroad. 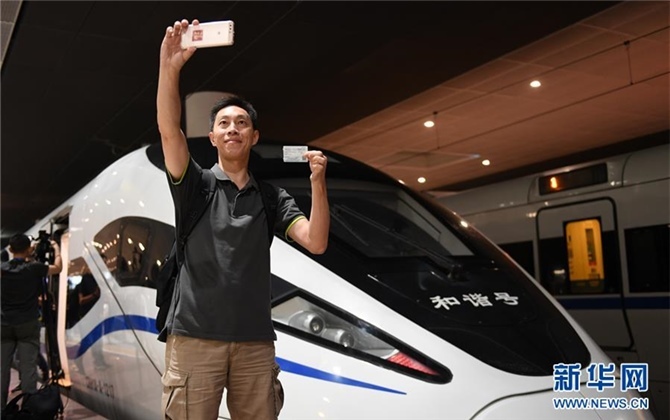 "From Spicy crayfish to Yan Du Xian Soup, from Guilin rice noodles to Stinky tofu, "whileingredients are easy to transport, feelings of home aren't. 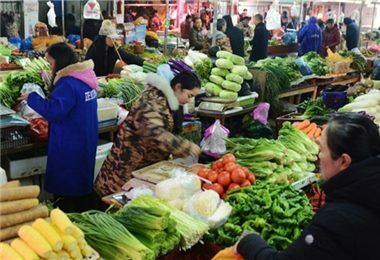 Nor are certain specialties thatonly taste their best in the place they were born," CNN said. 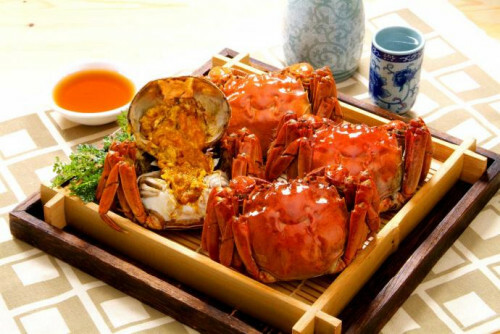 14 delicious dishes, have you ever tasted one of them? 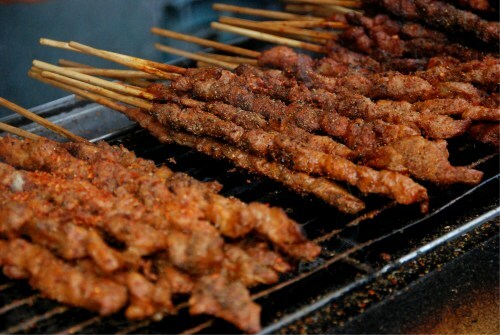 Islamic lamb kebabs with cumin, teppanyaki-style squid with five-spice sauce, gigantic "swords" of mind-blowing spicy chicken wings, grilled fresh oysters, fried pork tenderloinslices and razzle-dazzle exhibitions of vegetables-on-sticks. 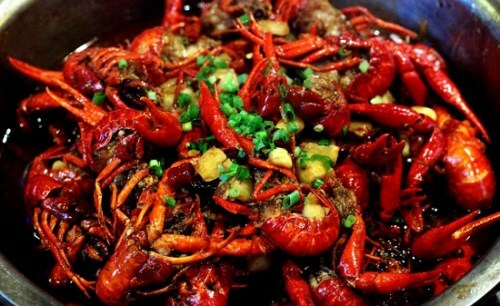 The mini-lobsters are simmered in broth with chilies and spices. From spring to earlyautumn, it's ritual to have a night out cracking and eating crayfish with friends or family. 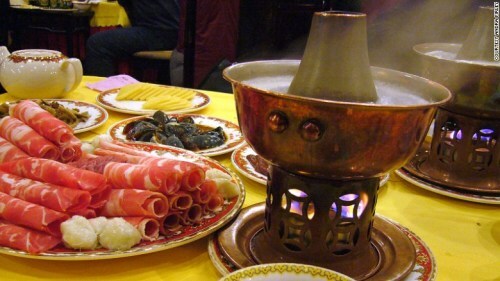 In China, a country closely linked to Mongolian nomads, heavy and hearty lamb hot pot ishugely popular, especially in the north during the bitterly cold winter. In what's usually a makeshift open kitchen, formidable Islamic noodle masters beat, foldand pull a flour-based dough, turning it into hair-thin noodles faster than most people candecide what to order. 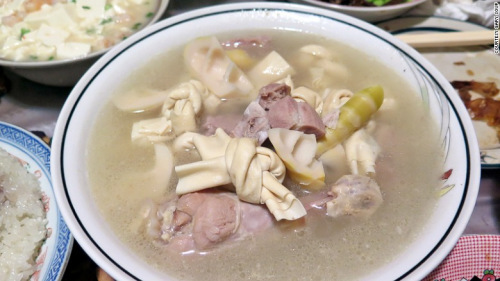 Yan Du Xian is a nutritious soup known as the great comfort food of the Yangtze RiverDelta in early spring. 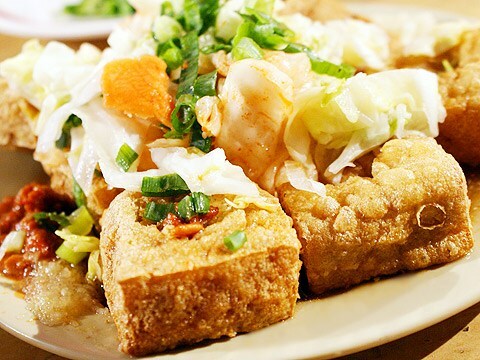 Fried, braised, streamed or grilled -- stinky tofu is delicious no matter how it's prepared. 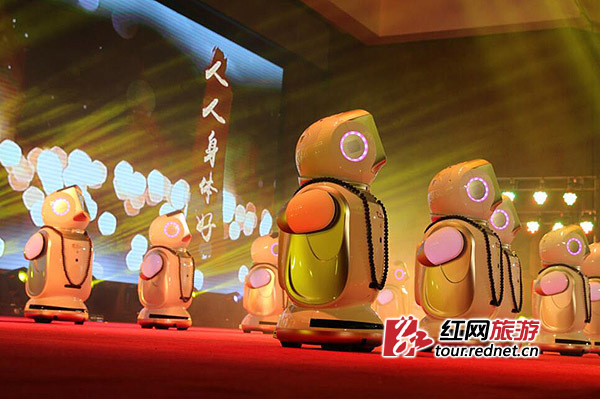 Stinky tofu is most popular in Hunan Province in central China, the Yangtze River Deltaregion (especially Shaoxing) and Taiwan. 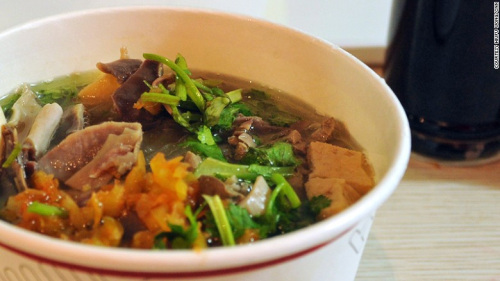 In a bowl of duck-bone stock, duck blood is presented in beancurd-like cubes together withvermicelli, fried firm bean curd and bits of duck organs, such as liver and gizzard. 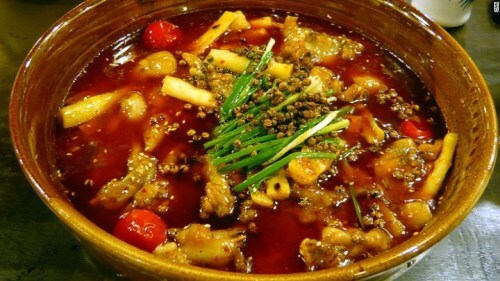 There are a variety of ways to cook bullfrogs in different parts of the country, but shui zhu -- a cooking technique from Sichuan cuisine -- has gained widespread popularity.Pre-fried bullfrogs are poached in oil packed with strong spices, such as chili peppers andflower peppers, then served in a larger bowl and garnished with fresh coriander. 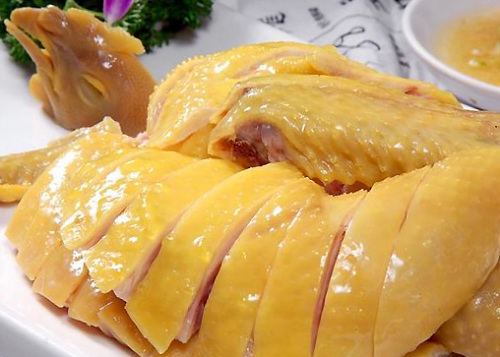 Spring chickens are boiled till tender, then chopped up and served with a dipping sauce. Located in southern China among clear rivers and Karst Mountains, Guilin isn't onlyfamous for its heavenly landscape, but bowls of refreshing rice noodles topped withpreserved long beans, peanuts, bamboo shoots and spring onions. 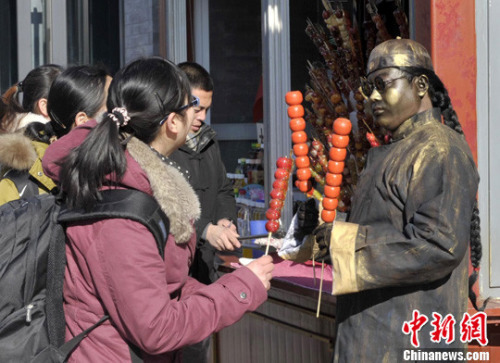 Harbin red sausage is a hugely popular cold cut in China. People get it from delicatessensand eat it on its own as a snack, with bread as a picnic food or cook it with vegetables (especially cabbage). 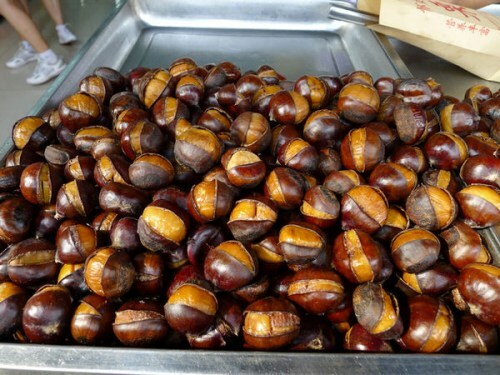 For this ever-popular autumn snack, chefs fry chestnuts (which are cut open) in anenormous wok filled with black sand and granulated sugar. When properly done, they'resoft, sweet and extremely fragrant. Sold by the stick, the dessert-to-go tastes great and looks greater -- bright red haws lineup on a skewer in auspicious shapes, their sugary outer layers glimmering in the light.